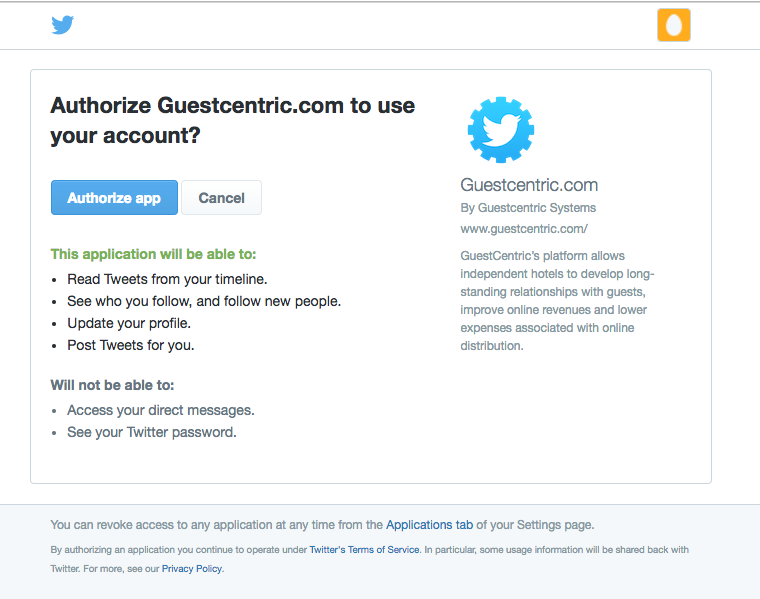 HOME > SOCIAL MEDIA AREA > How can I activate my website on Twitter? STEP 2: Select the social media account you wish to activate and then click on the relevant option to access your account. STEP 3: After selecting the account, click on EDIT in order to authorize the connections. STEP 4: Confirm that you wish to update Social Marketing account settings by clicking on YES. STEP 5: A new window will pop up so you can allow the connection to the relevant account. After compleing the activation process, you will now be able to see the authorized accounts on the listing. In order to be able to activate your facebook promotions, you need to connect your facebook fan page. A personal facebook page isn't accepted for this purpose.